Not only is this giving us chic Southwestern vibes (another excuse to buy more cute cacti, anyone? ), but we’re loving the warmth it adds to any space, while still remaining versatile. 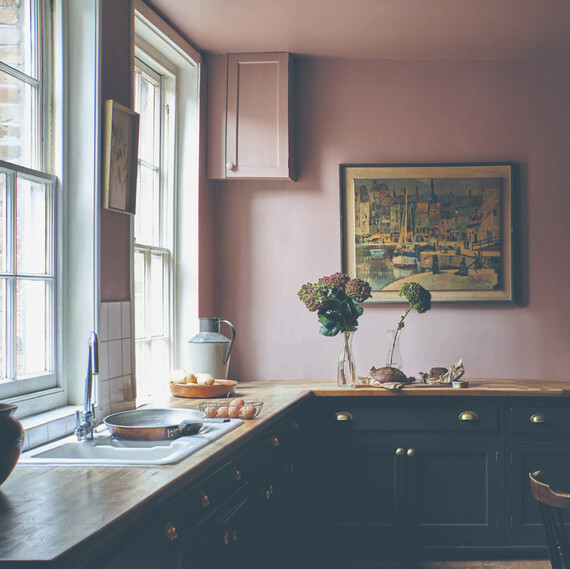 And with Pantone’s Living Coral taking the décor world by storm, it’s no surprise orange-tinted palettes are creeping onto kitchen walls as well. 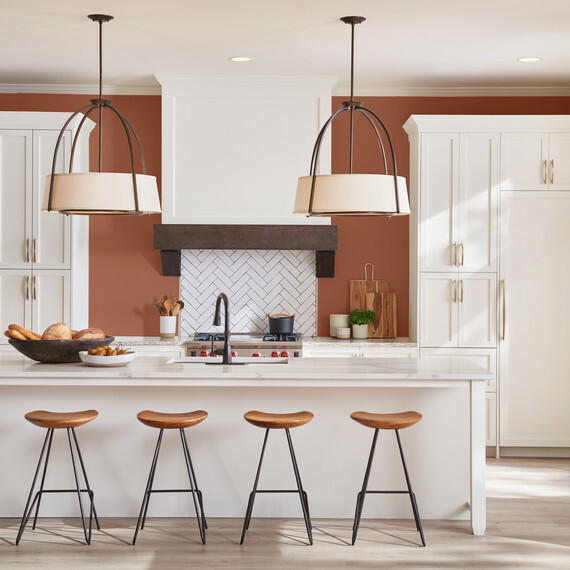 “Terracotta is the best version of orange in my opinion, it’s more muted, ” says Sue Wadden, Director of Color Marketing at Sherwin-Williams (whose Color of the Year is a gorgeous Cavern Clay). 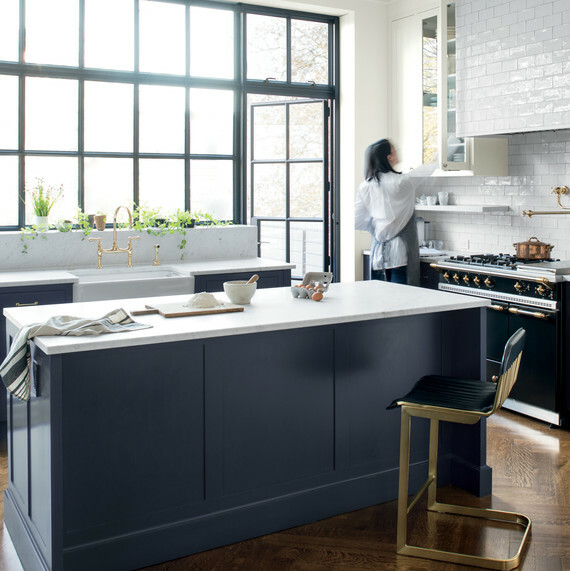 Not ready to part from a previously neutral kitchen palette? Fear not, you can still play with this fiery tone as Wadden adds: “It’s also a great complementary color to gray. 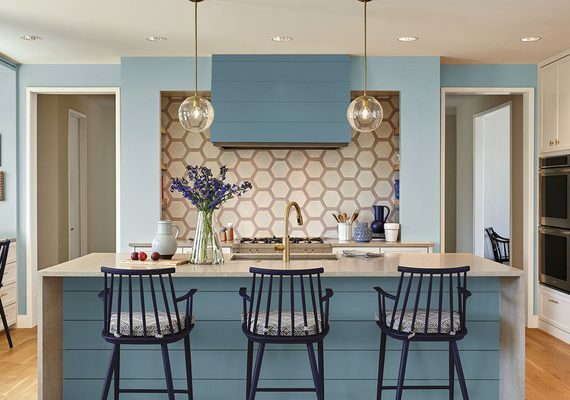 To everyone who’s painted their rooms gray in the last five years, this is a great way to bring some color and a boost of energy into the space.” She also suggests incorporating hints of terracotta in accent pieces from a freshly painted kitchen island to chairs and cabinets. Okay, so the all-white trend isn’t ready to leave just yet. But it’s certainly getting a sophisticated upgrade with various warm, brown-gray tints, according to Wadden. 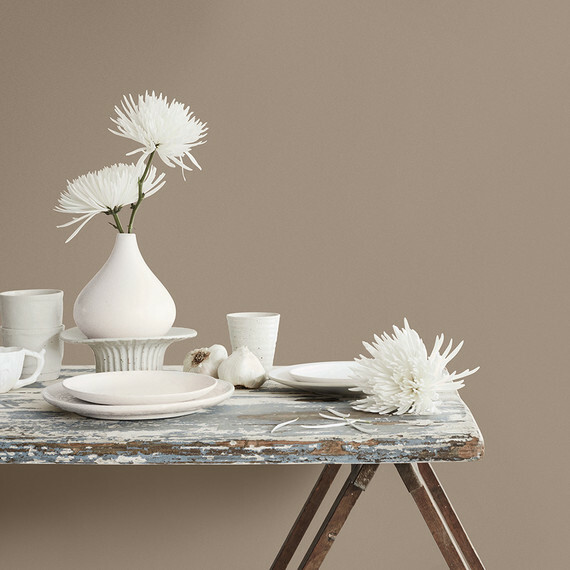 “I’m obsessed with mushroom neutrals, bone colors, and oatmeal whites,” she tells us. “They’re creamy, but not stark and will be key as we move forward to replace all-white kitchens.” In other words, the future may not exactly be looking bright, but honestly—we’re not complaining.